Sometimes all it takes is a new coat of existing colour. Other times a complete colour makeover adds a renewed sense of vibrancy and purpose to your place of business. 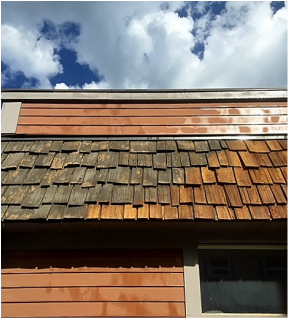 We can pressure wash your siding to freshen it up, or strip off old, flaking paint or stain and apply a new coat to increase the longevity and improve the appearance. New construction? We've got you covered. Ask us about the best products for your commercial application. 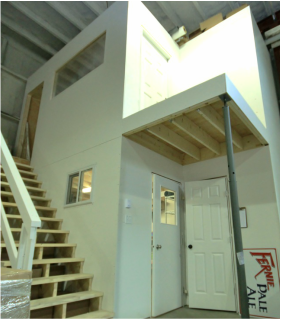 Our list of commercial painting and staining clients in the Elk Valley includes Fernie Brewing Company, Fernie Real Estate Company, Quality for Less Furniture, Fernie Lodging Company, Fernie Cattle Company, Fernie Fireplace & Appliances, Brecan Building Supplies and more. Inquire now to find out how we might help your business with a face lift.